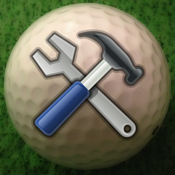 Clubmakers Toolkit is an easy to use all in one tool for Club Fitters. Offering a variety of features like a Swingweight Estimator and a tool for getting proper grip sizes. Also in the App is a Shaft Frequency Fitter to help ensure the proper shaft stiffness. The MOI calculator will help fitters to give players a consistent feel throughout the set. Getting properly fitted clubs will lead to lower scores and a better overall game.